Fishing is one of those activities that brings out the superstitious side of people. Lucky underwear are a mainstay of the superstitious. I'm just saying. 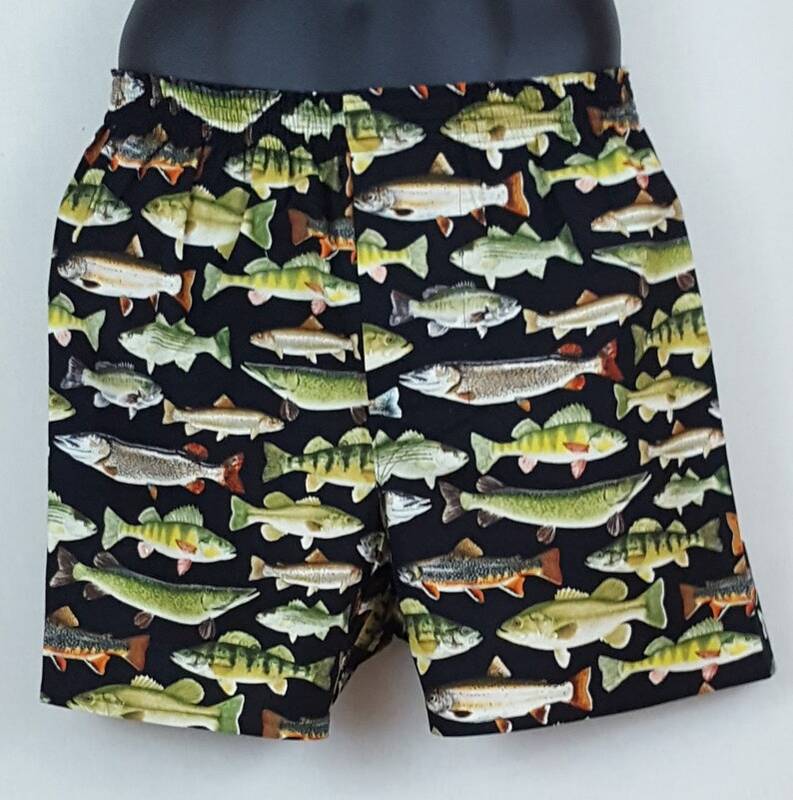 On the front of the wrapper you'll see the title - "TROUSER TROUT"
All of my boxers are full-cut with a three-panel design (no center back seam) and a functional fly. I make all of my products in a smoke-free home, I only use woven 100% quilter's quality cottons, I prewash all fabrics before I cut so the finished garment stays true-to-size, and all interior seams are finished by flat-felling. These are some quality underpants... whether you catch & release or hang the trophy on the wall.